The perfect versatile option for the modern gentleman. 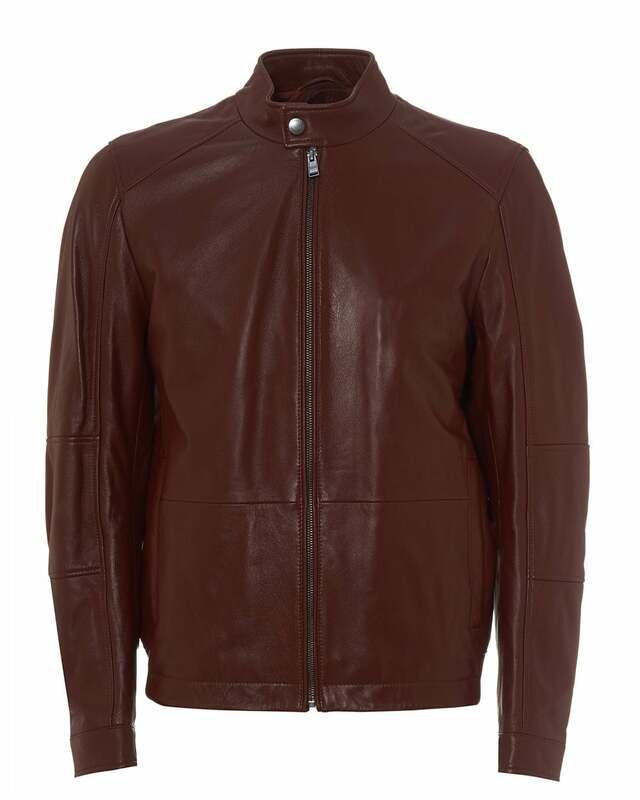 This Numano leather jacket in a unique dark red hue will stand out nicely in your outerwear collection. Featuring a smooth lamb leather finish, a snap close stand collar and a knitted hem.